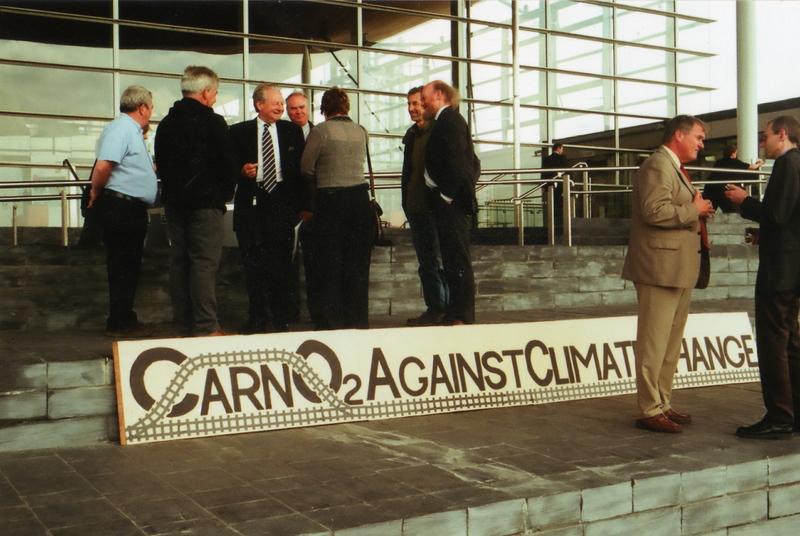 A petition to reopen Carno train station in Powys has become one of the first received at the Welsh assembly since it acquired new powers. 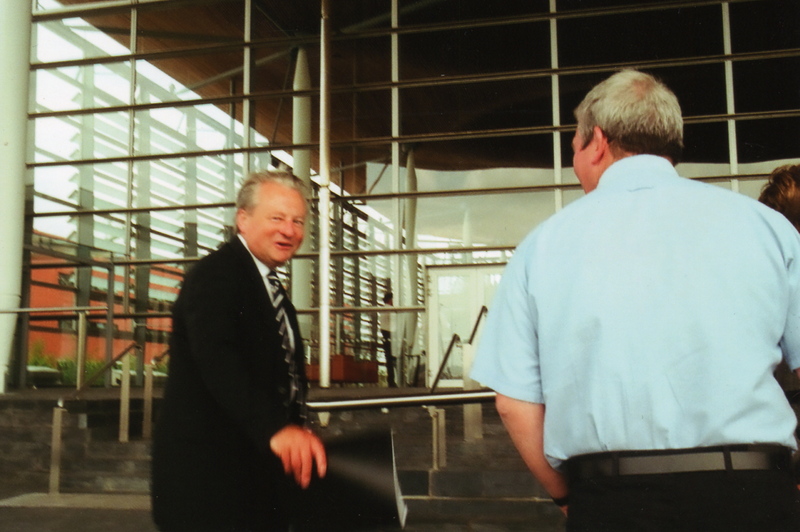 Campaigners and AMs presented nearly 800 signatures to Presiding Officer Dafydd Elis-Thomas for consideration on Tuesday June 12th. The petition is expected to appear on the assembly website and be sent to the transport minister for a response. 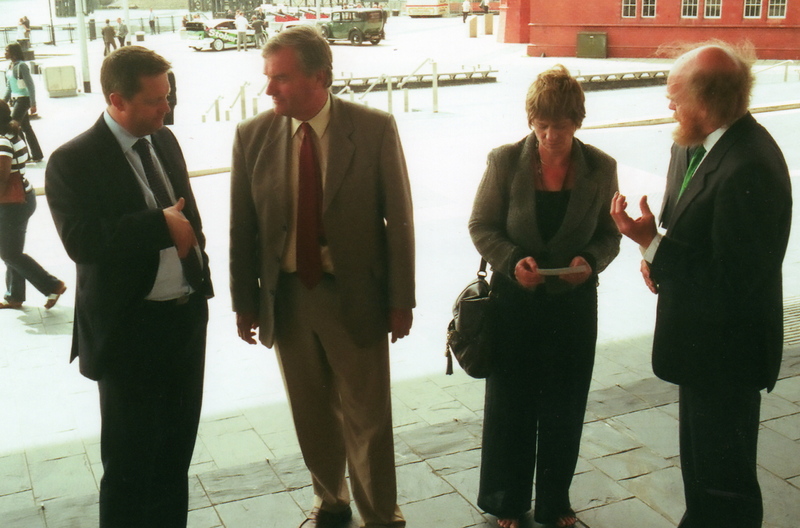 The campaigners said they were “fairly confident” the new system would help their “tremendously good case” succeed. 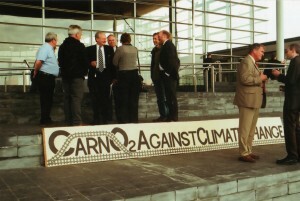 Carno Station Action Group chairman Tony Burton said he expected the assembly’s new procedures would help ensure the petition did not simply gather dust. “We think we’ve got a tremendously good case because we’re on the longest stretch of line without a station in the whole of Wales – 22 miles,” he said. “Trains currently stop out in the country at Talerddig to pass each other without taking passengers on or off,” he added. The group wants the passing loop on the rail network moved to Carno to allow passengers to board. It said Network Rail had indicated the extra cost would be a relatively modest £100,000. The campaigners believe the station would both help get people out of their cars and boost the economy of an area which has suffered since the closure of the Laura Ashley factory in the village three years ago. Lord Elis-Thomas is launching a public consultation to help find the best way of making the new petitions system work effectively. He told the Carno station campaigners that he wanted to ensure “that there is an outcome (from petitions): you don’t just send something”. 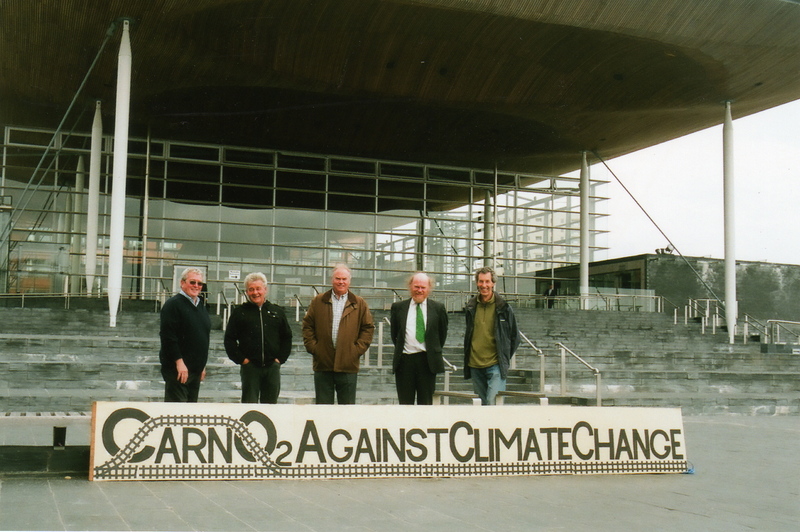 “We have a real way of engaging with people in Wales who can now petition the assembly and they can then see what actions the politicians here take about their petition, and that’s brilliant,” he added. 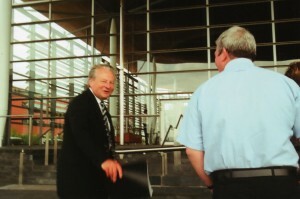 The photograph below shows AM Mick Bates presenting the petition to Lord Elis-Thomas. Click on it to see an enlarged version. 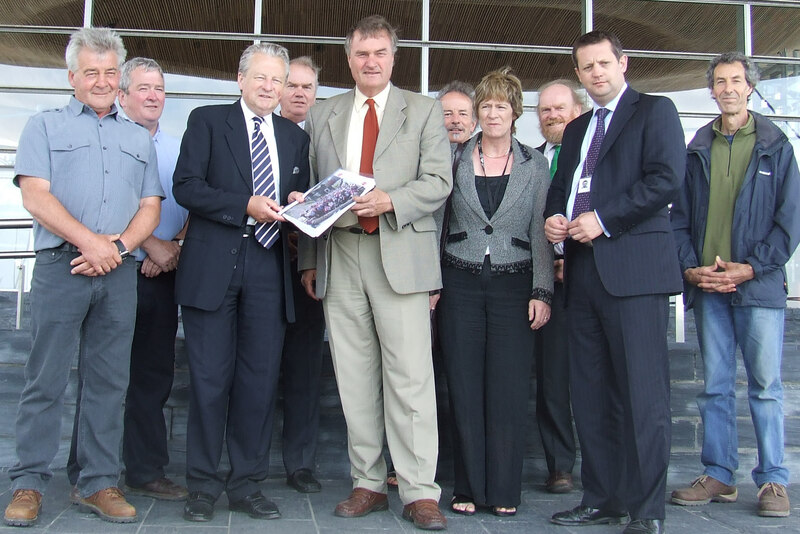 We call upon the Welsh Assembly Government to re-open Carno Station and end the wasteful practice of stopping trains outside Talerddig with no passenger benefit. 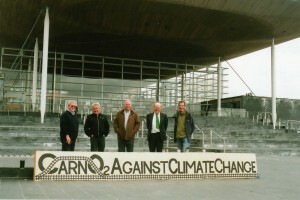 A six person delegation , including the Chairman and Vice Chair of Carno Community Council, travelled from Carno to hand over the 781 signature petition to the Presiding Officer, and Montgomeryshire AM Mick Bates was joined by Mid and West Wales AM’s Joyce Davies (Lab) and Alan Davies (Lab). Previous Previous post: All Aboard the 1.25 to Shrewsbury!